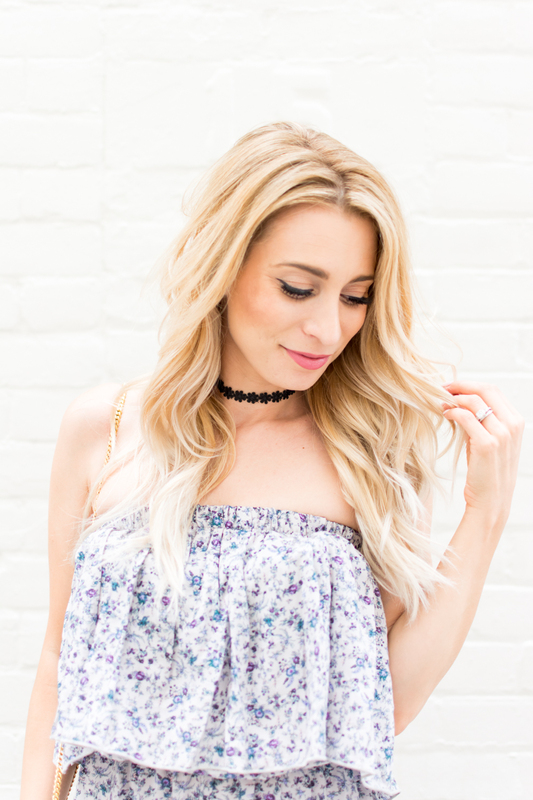 OOTD - Floral Jumpsuit | La Petite Noob | A Toronto-Based Fashion and Lifestyle Blog. Happy Friday - we made it! I don't know about you guys, but these weeks have been very long. It may be because Brian and I are heading out for another state-side adventure after Labour Day, to Charleston, South Caroline and New York City. The weeks leading up to travel always drag, but I could not be more excited for some time away. Nothing like a change of scenery to really invigorate you and re-focus your mind. Anyways, back to the outfit! I've been having a love-affair with rompers lately and this floral jumpsuit is no exception. I love the flutter detail on the top, and the fact that the pants are culottes. The fact that this romper is a bit more conservative with the longer legs makes it much more day-time appropriate. I'm getting a seventies vibe from this entire outfit and to be honest, I don't hate it. What do you guys think? Are you into the one-piece suits as much as I am? What as been a stand-out style for you this summer? Let me know! I find one-piece suits hard to suit my body and I like being able to take off just my pants when I go to the washroom haha but you look cute.